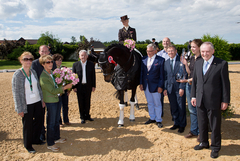 Blind Date won the Special of Achleiten. 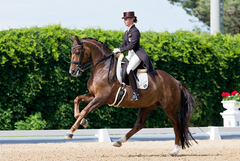 Just like Augustin OLD in the Freestyle tour, Blind Date won the Special tour with 73.52 percent. 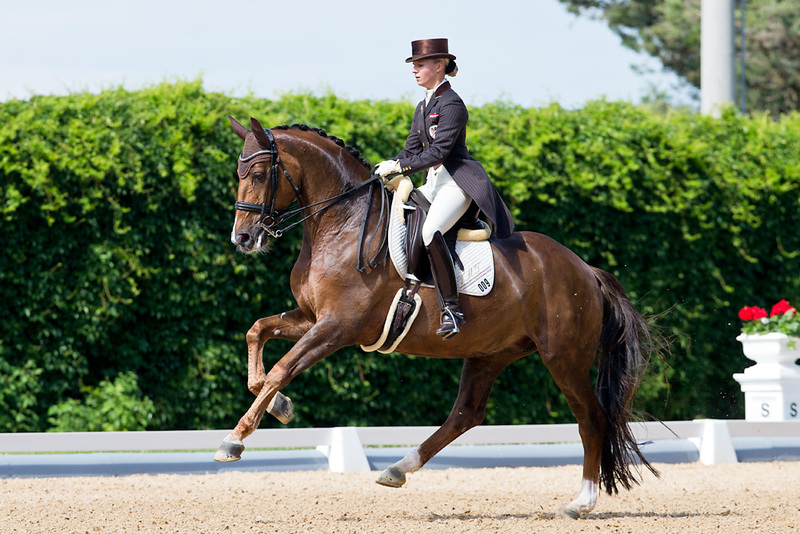 This qualifier for the Burg Pokal, which was held outside of Germany for the first time, was won by our Wiener Classic (74.14 percent) aheas of the just seven-year old San Francisco OLD (70.07). 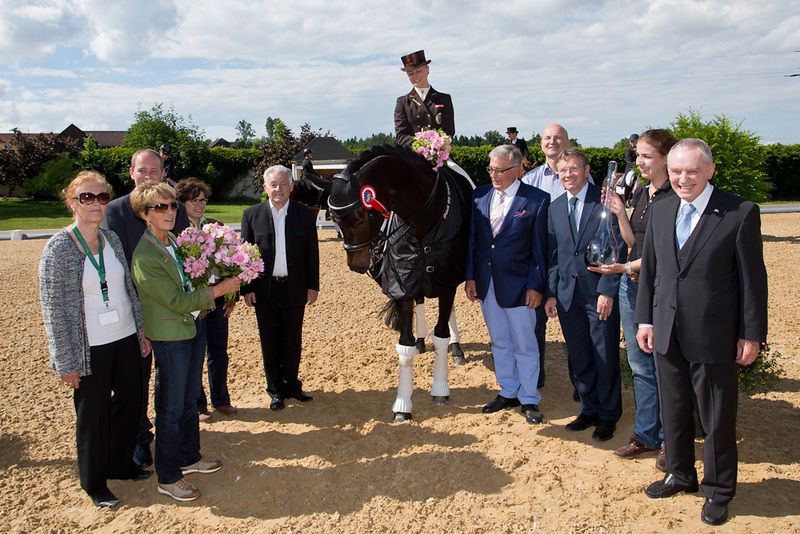 Both were ridden, just like Biedermeier, the winner of the Inter B, by our trainer, Wibke Bruns/GER.